Private Investigator Jackie Morrisey once suffered in a relationship where she was controlled by a Immortal/Vampire, and ever since she has never been the same. She is wary of any vampires and she knows of their world. The only one she can be around is Bastien Argenau who has treated her with respect. Now she is to help Vincent in solving a case, since she is the best at what she does. However when she meets him she never expected him to be the most handsome man she has ever come across, yet her past and fears come alive, and wonders if he controls her as well. As they take a step closer to solving the mystery, so does their feelings for each come even more alive, and Vincent starts to accept that Jackie is his lifemate. 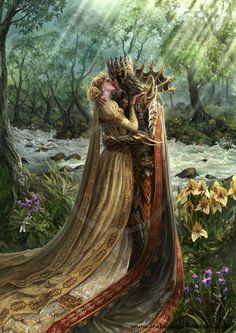 But will he be able to convince her that not all of them are rotten, but that most Immortals don’t use humans like she was once used, and to help her believe in love once more. Vincent Argeneau needs the help of a private investigator, when its obvious that someone is trying to sabatoge his business. 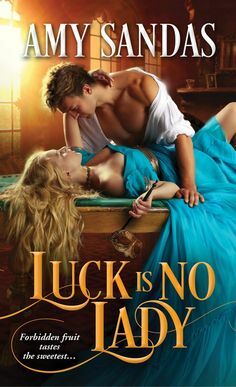 So when Bastien sends a woman to help them he assumes she is Immortal, but is shocked to discover that she is mortal, who knows much about them. Vincent born a Immortal, over 400 years old, and is currently a actor which is what he loves doing. Has yet to have a lifemate until Jackie arrives on his doorstep, and he is charmed by her beauty and has a protective streak a mile wide when it comes to her. He wonders if he can help Jackie overcome her fears of Immortals. Jackie Morrisey, a Private Investigator, proud of being human and was defintiely nervous around any Immortals. After being in a relationship with someone, only to find that they controlled every aspect and her as well, she doesn’t trust any of them. And when Bastien asks her to do him a favor to help his cousin, she is willing to do so but not expecting the blindingly handsome to stir up every emotion and sense that she has. She finds him irresistable and charming and too good looking for his own good, and the most incredible kisser, but there is doubt in her mind if he will control her and what she feels for him. A Bite To Remember is the fifth installment in the Argeneau Series. As far as vampire romances series this is one of my favorites to read. I love the whole scientific angle to being a vampire, so I enjoy these more since they are more on the enjoyable side of being a Vampire. So its always a delight to read any book in this series. A Bite To Remember is Vincent’s story, and one of my favorites of the series. I love how Jackie already knows about them, and even though she has this fear, I felt that throughout this book she slowly overcomes her fear and truly embraces what being an Immortal is. It was also a delight to see characters from other books in the series come into play as well. Overall I found this to be a charming romance filled with danger, mystery, passion with endearing characters.